The hunt for your new hot, on trend coat is over. 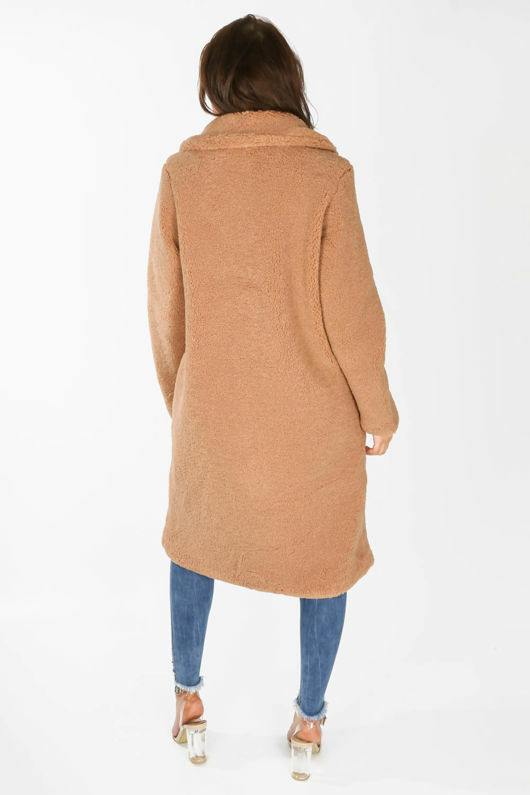 The borg teddy coat in brown is a wardrobe must have, made in a fleece borg fabric this cosy coat will have you looking like a fashionista this season. 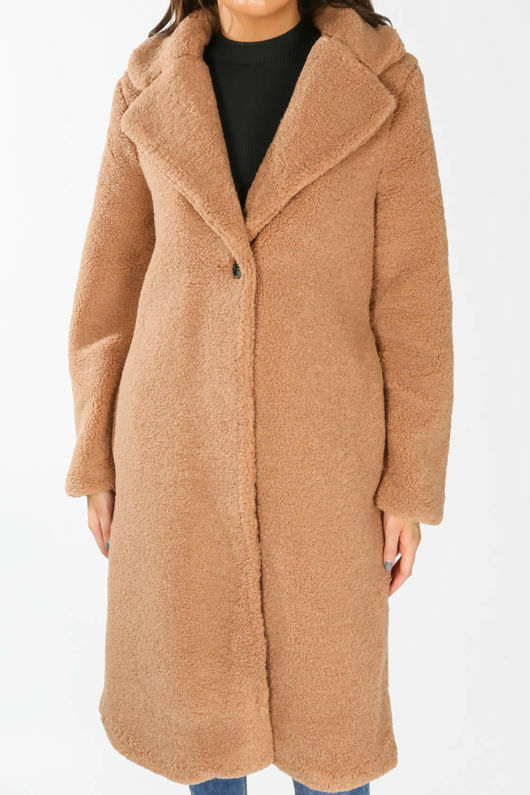 The lined full length coat features a collar and button fastening. Team with your favourite denims for a casual style.